I sell my 3D prints in various ways. I have an ETSY shop called MoonbaseBeta to sell my Space 1999 Dinky Eagle pods, which are pods that never existed on the market, but many collectors want because they did appear on the show. 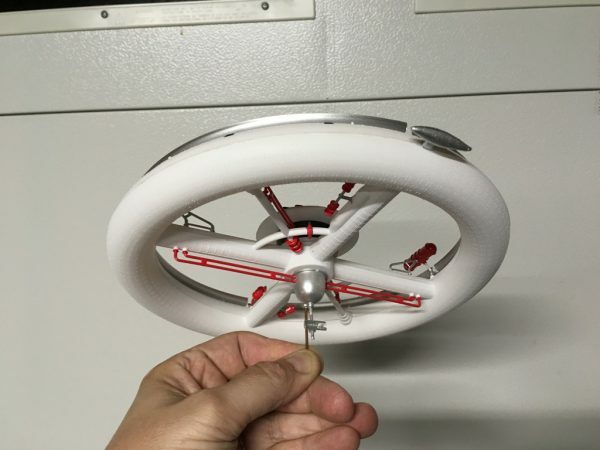 These, I 3D print at home, assemble, and ship. Start to finish, it’s all me. I have a Shapeways shop called FourthD in which I sell things for various collectors. Models for Space 1999 Dinky Eagles, for example, to replace parts or augment their collection with new parts that never existed on the market, like new pods, moon buggies to scale, etc. Plus some GI Joe scaled ray guns and pistols, etc. Shapeways does all the work. They print, they ship, all I do is upload my models and make them available to people. 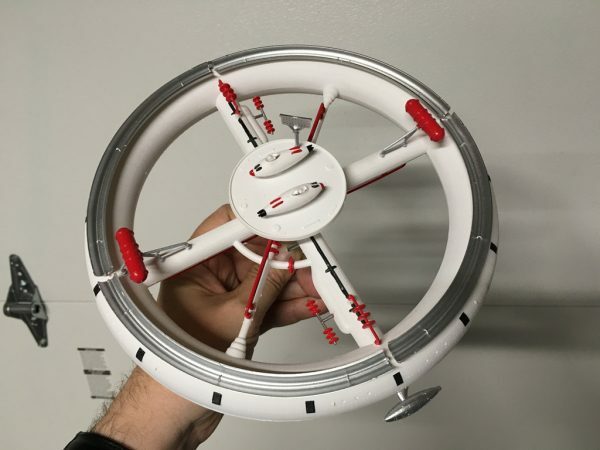 On Shapeways, they print the model for their cost and profit. Then I get to add a bit for myself as markup which is how I make money. I usually charge anywhere between a few dimes to a few bucks, depending on how much of a percentage that is of the total price. Yesterday I noticed one model up there I had left up for people to see and buy inadvertently during a mass editing session. But hey, fair game, the model was there, and someone ordered it. I got 0% markup. No harm no foul. I really didn’t care about that sale. So I edited the file to add a $1.28 markup fee. 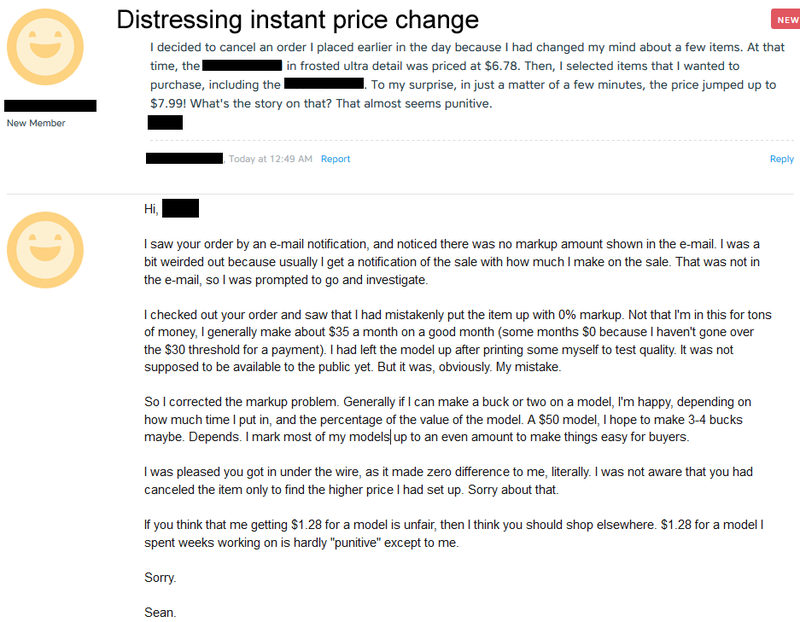 Then this morning I saw this Correspondence on my Shapeways shop site, and here was my response. I ask you: am I being unreasonable??? In the 1958 the Space Race was heating up. 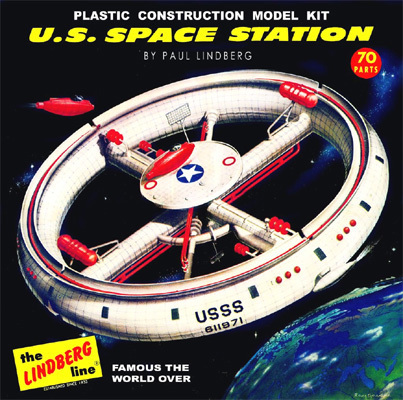 Model kits reflected this optimism and The Lindberg Line introduced the U.S. Space Station model kit. The standard inflated-tire design was evident here, which showed itself in a lot of space station concept ideas. This could even be seen in a dual form in “2001: A Space Odyssey”, the 1968 Kubrick film. I coveted this kit as a kid, but never got it. I managed to get a few other rocket model kits from the same line but never this space station. 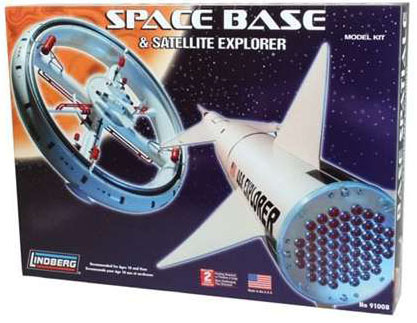 Until recently when Lindberg released a dual reproduction kit of the Space Base (now called) and the Explorer Rocket. I snapped it up, and it sat on my shelf unbuilt for a few years. I just recently finished it. Here it is, painted to my ability, which is … not terrible, but hardly expert. When I saw the American flag, which is for the Explorer Rocket, I thought: “Hey, why not make this a Canadian Space Station?” After all, Canada is deeply involved in the space program, and recently I recall Col. Chris Hadfield’s real stay on the International Space Station beginning with his launch on Dec 19, 2012. Memorably, he played “A Space Oddity” by Bowie for a YouTube video while up there. 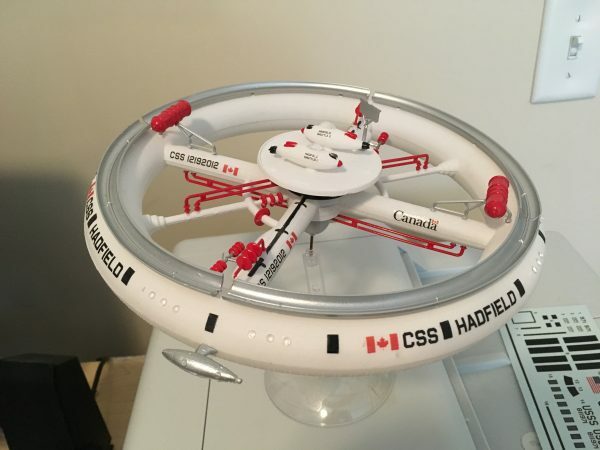 And you will note, the Hadfield Shuttle 1 and 2 are also labeled now. 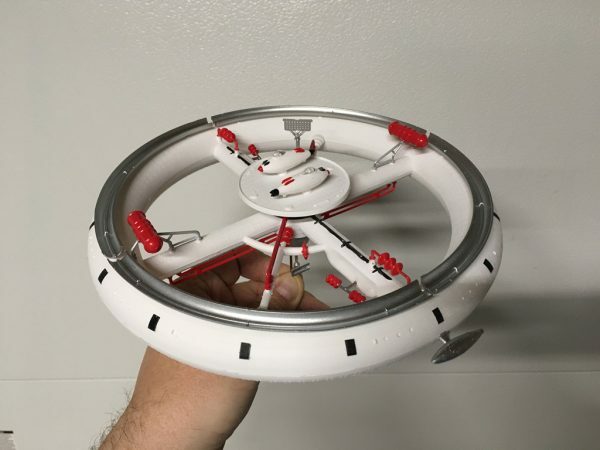 This now proudly hangs upside down on a string in my 3D printing room, above my desk alongside a four-foot-long Discovery from 2001. Don’t Go To Jail! Game with #CircuitPlaygroundExpress « Adafruit Industries – Makers, hackers, artists, designers and engineers! on Don’t Go To Jail!